Our Gothabilly Dresses come with a detachable cotton belt. 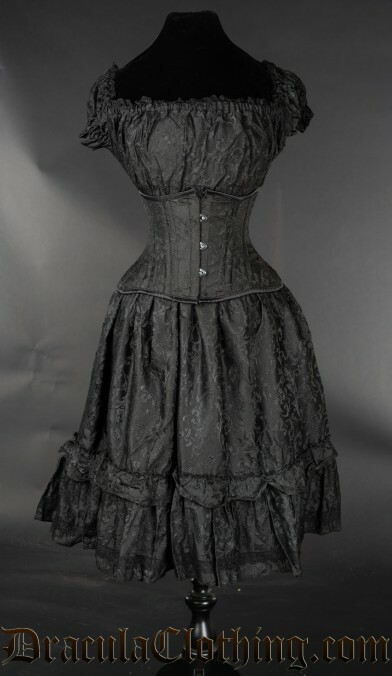 The Black Brocade Gothabilly Dress comes in the same fabric as our Black Brocade Corsets. 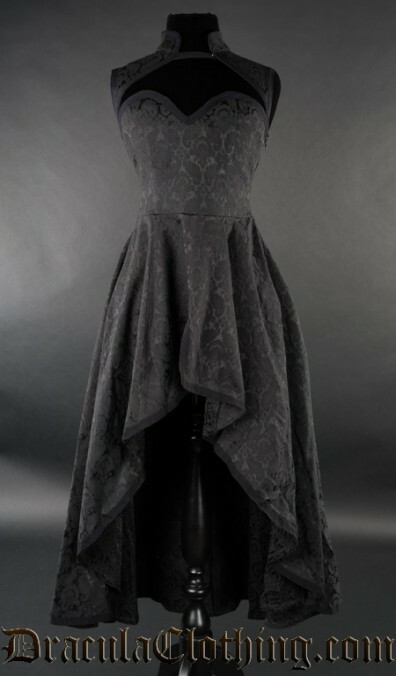 The dress is pictured here with the Black Brocade Extreme Waist Cincher. Our Gothabilly Dresses come with a detachable cotton belt. 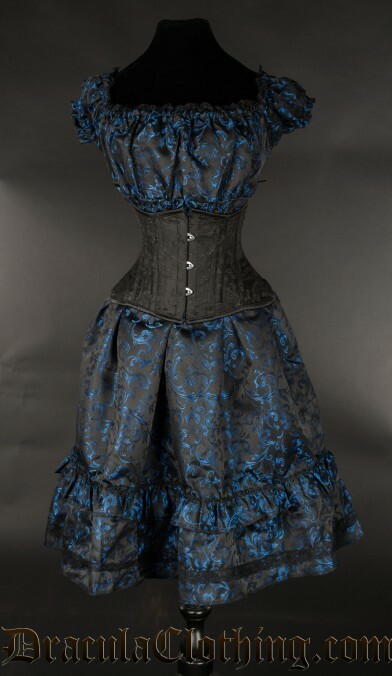 The Blue Brocade Gothabilly Dress comes in the same fabric as our Sapphire Corsets. 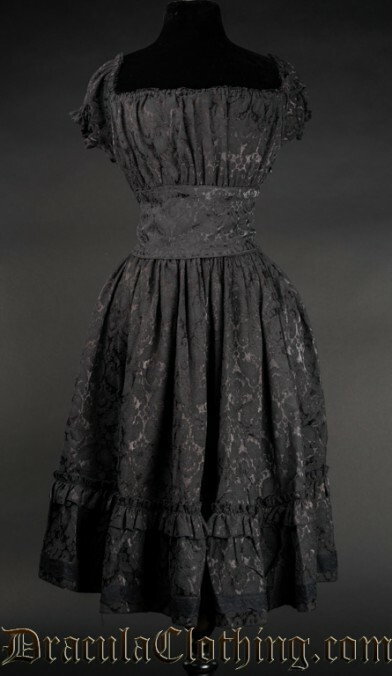 One of our most popular items, this beautiful black dress features an elegant brocade pattern, high collar, and sweetheart neckline. Also available in black velvet. Each Gothabilly Dress has ruching at the bust, sleeves, and waist to accommodate a range of sizes, and features a hidden side zip and detachable belt. Dani Divine is wearing the Black Brocade Extreme Waist Cincher and Skeleton Lady Cameo Necklace. Kameko Epitaph is wearing the Music Locket. The Lace Dress has a hidden side zip and button fastening at the collar.